The Chesapeake Bay Retriever is a tough and intelligent breed. One of the few dogs that originated in the United States, this dog is believed to be a descendent of two Newfoundland pups that became shipwrecked during a voyage. Later on, they were bred to hunt waterfowl during the harsh and icy winters of Maryland on the Chesapeake Bay. Also known as Chessie’s, these dogs are a lover of water and showcase fine retrieving skills. They are a naturally skilled breed that excels in hunting, swimming, and fetching. Chessie’s signature look includes bright yellow eyes with a dark chocolate waterproof coat that allows them to withstand frigid temperatures. Today, this breed is loved for their perseverance and excellent companionship. Courage, friendly, and protective are all admirable characteristics of the Chesapeake Bay Retriever. Compared to other retrievers, Chessies can be quite independent and stubborn. This may make training a difficult challenge if they have not been properly socialized at a young age. Chessies are the perfect companion for an active household. Camping, hiking, biking, and running are all activities that this breed can easily handle. They can withstand harsh climates and tough terrain, which makes them an ideal pet for outdoor activities. Make sure your Chessie stays busy with lots of activities. Not only is it important for them to get physical activity, but they also need to be mentally stimulated as well. A Chessie that becomes bored and restless will turn destructive on your home. A daily game of fetch or tug-of-war will satisfy their needs for challenging activities while still getting quality bonding time with their owners. They can withstand harsh climates and tough terrain, which makes them an ideal pet for outdoor activities. Make sure your Chessie stays busy with lots of activities. Not only is it important for them to get physical activity, but they also need to be mentally stimulated as well. A Chessie that becomes bored and restless will turn destructive on your home. A daily game of fetch or tug-of-war will satisfy their needs for challenging activities while still getting quality bonding time with their owners. As previously stated, Chessie’s can be quite independent. This can make training more challenging compared to other retriever breeds. Chessies need an experienced owner who knows how to be persistent and patient. For extra help in training your Chessie, try enrolling them in a puppy training course. The best way to train your dog is by starting the process early. Make sure to socialize them with different people, places, experiences, and sounds while they are still a puppy. This will help them feel more comfortable on a day to day basis. Training efforts will also make them more obedient to their owners, which is very important with an independent breed. Since these dogs were bred for hard and laborious work, they require lots of physical activity to keep them healthy and happy. This breed needs at least 30 minutes to an hour of walking every day. Do not take your dog jogging until they are at least a year old. Running can put stress on their developing joints and cause injuries while they are still growing. One of their favorite activities is to go for a swim. These dogs are avid swimmers and love to play a game of fetch in a pool or lake. This outdoor breed is also a great companion for hikes and bike rides. They enjoy being outside and roaming freely as they please. Chessies would rather be in the mountains exploring rather than stuck in a city any day. If this breed is cooped up in a house for hours at a time, they will quickly become restless and develop behavioral issues. On average, the Chesapeake Bay Retriever lives to be about 10-12 years old. Originating in the United States, this breed has been a popular household pet for many Americans. According to the AKC, Chessies are ranked as the 43rd most popular in America. While they may not be as popular as the golden retriever, they are still a highly sought after breed. Their bright personalities and playful spirit make them a favorite pet for many dog owners across the United States today. 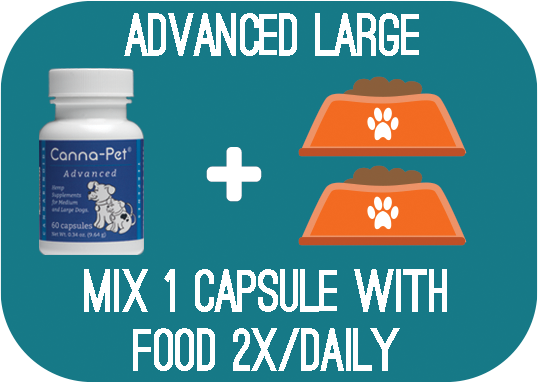 Feeding your Chessie high-quality nutrition is the first step to helping them live a long and happy life. The recommended amount of food this breed should consume is between 2-2 ½ cups, split into two separate meals a day. Consider their age, size, activity level, and metabolism when creating their set feeding plan. For more professional help, consult with your veterinarian for specific recommendations. Always provide your pet with high-quality food that is free of corn, soy, and preservatives. Look for labels that offer all natural ingredients that will be easy to digest. Also, make sure to always have a bowl of fresh water available at all times. Clean their bowl daily and top it off when needed. The Chesapeake Bay Retriever has a similar appearance seen throughout the breed. They have a dark, thick coat, piercing yellow eyes, and long hanging ears. Their thick coat and oily skin make a Chessie’s coat water resistant when swimming. In order to combat their excessive shedding, make sure to brush your Chessie several times a week. This will rid the coat of dead hairs while also keeping it soft and clean. Since this breed has long, hanging ears, it is very important to check their ears at least once a week. Moisture can easily build up, which will cause an infection. Use a cotton ball and veterinarian-approved cleanser to clean their ears weekly. Brushing their teeth is another grooming practice that should be done several times a month. Bacteria and tartar can quickly build up, which can cause dental disease. Lastly, keep their nails nice and short so they don’t become overgrown or cause infection. Are Chesapeake Bay Retrievers Good With Kids? For the most part, Chessies are well-suited for kids. They do not like rambunctious and needy children, but if they are bothered, they will simply walk away and ignore them. It is important to note that Chessies can be overly protective of their toys and food. This can be very dangerous for children if they do not know how to properly interact with their pet. Many professionals recommend having older children in the household when dealing with a Chessie. Even though they are a loving breed, they can quickly become defensive and protective which may lead to aggressive behavior. Just like in any breed, Chessies are prone to some serious health complications. Below is a list of common health problems that may affect your dog. Gastric Torsion: Also referred to as bloat, this complication occurs when a dog’s stomach fills with air, gas, or food and blocks connecting passageways. In severe cases, the stomach may turn or flip, causing further damage to the digestive system. This is a life-threatening illness that can lead to death if not treated immediately. Canine Hip Dysplasia: Hip Dysplasia occurs when there is abnormal growth within the hip joint. CHD damages the cartilage in the hip joint, which leads to discomfort, lameness, or difficulty in walking. Hypothyroidism: Hypothyroidism is a common illness that affects many breeds. This occurs when the body cannot produce a proper amount of thyroid hormones. Common symptoms in dogs affected with hypothyroidism include a change of weight and skin complications. To cure your dog of these symptoms, your veterinarian will prescribe a synthetic hormone pill that will bring hormone levels back to normal. Cerebellar Abiotrophy: This neurological disorder is caused be a vital nutrition deficiency. CA kills off neurons called Purkinje cells that are located in the brain. These cells control coordination and balance within an animal. A dog diagnosed with CA will have difficulty in coordination and muscle control. Eye problems: Chessies are prone to several different eye issues throughout their life. To reduce the risk, make sure to have your pet’s eyes tested frequently by their veterinarian.